After we finished our trek with the gorillas in Uganda we wasted no time and headed straight to the border and crossed over into Rwanda. This was interesting because when we arrived at the border three of our group members discovered that they hadn’t been given entry stamps for Uganda. This caused a bit of stress but luckily it was sorted out relatively quickly. 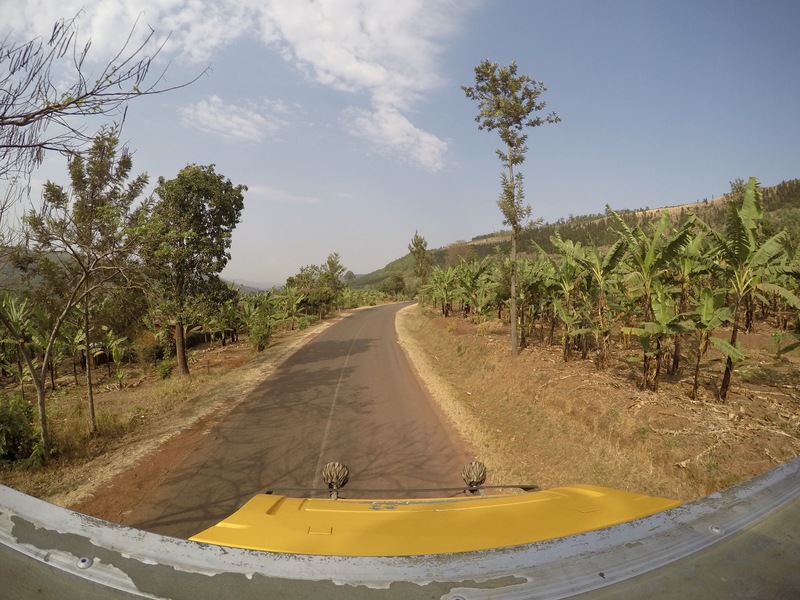 When we entered Rwanda we quickly noticed that the banana trees where accompanied by eucalyptus trees. The houses were made out of clay bricks and looked very different to the houses in Uganda and Kenya. The children were still friendly but we did notice some resentment from teenagers and young adults. 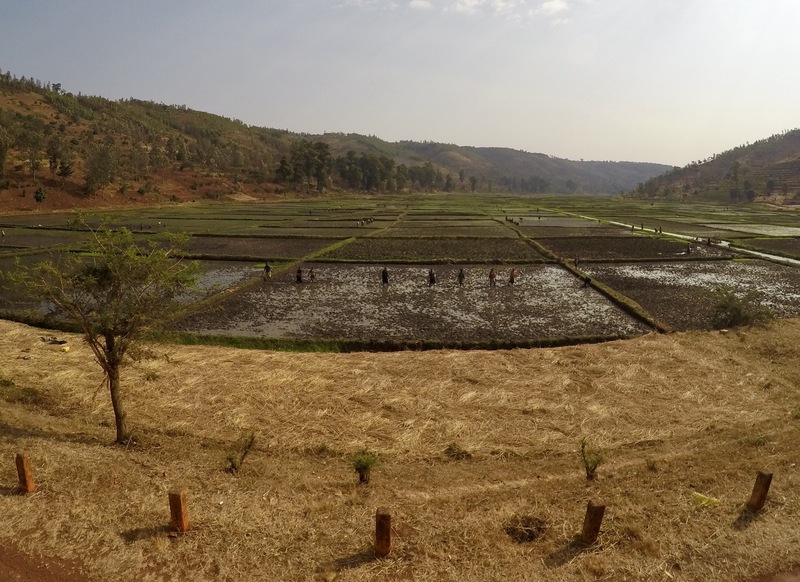 We only spent three nights in Rwanda, two in Masanze and one just outside of Kigali. 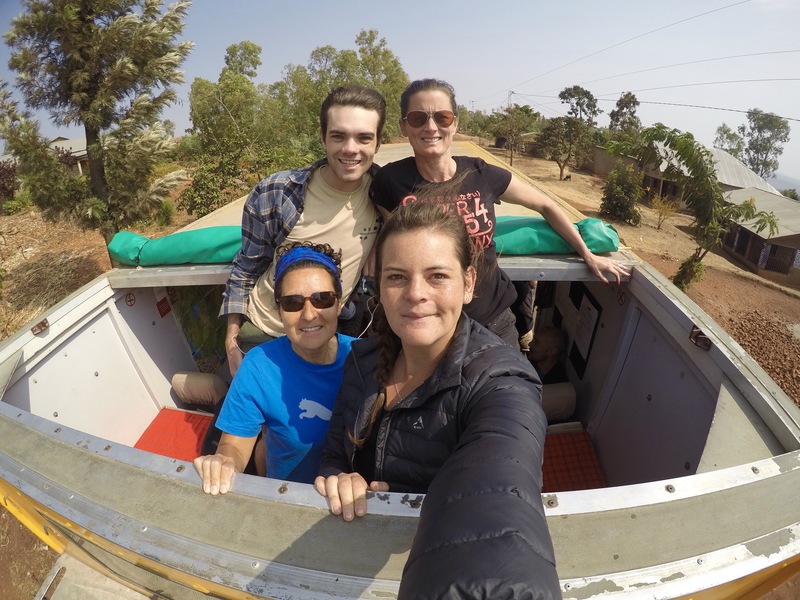 Although our time in this country was short I still felt like I was able to enjoy seeing another African country. Kyle, Jill, Mimi and I enjoying our time on the ‘beach’. Children waving at our big yellow truck. Driving by the Rwandan rice fields. Our first day in Musanze was spent exploring the city. A group of us went for lunch and then to look at the local market. This was a fun venture as it was great to see people selling their local produce. Lisa and I were buying green beans and when we tasted them, the children that had been following us around started to laugh. Generally, people in Rwanda don’t eat raw vegetables due to the quality of their water- they must have thought we were really strange. 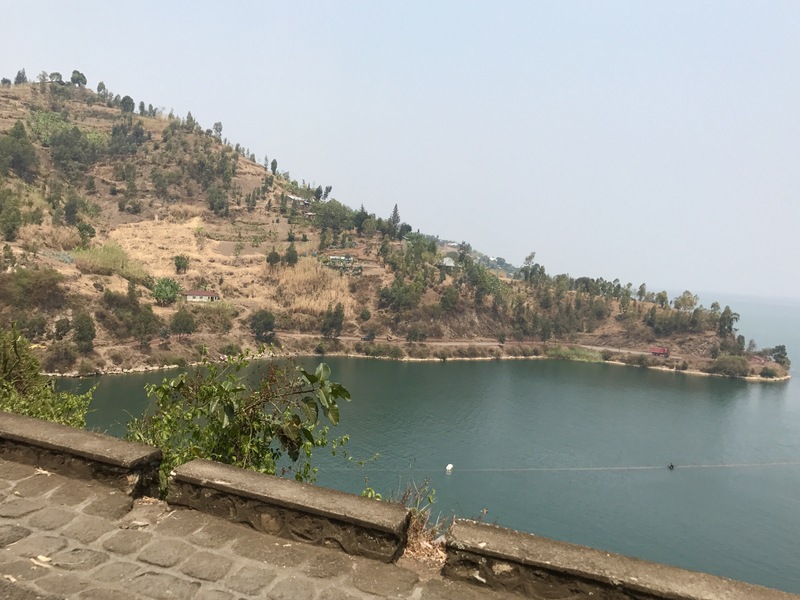 On our second day I chose to go on a day outing tto Lake Kivu. Ten of us opted for this option. The day started by driving for an hour to reach the border where we could look into the Democratic Republic of the Congo. This was unexpected and bizarre to feel so close to the DRC. 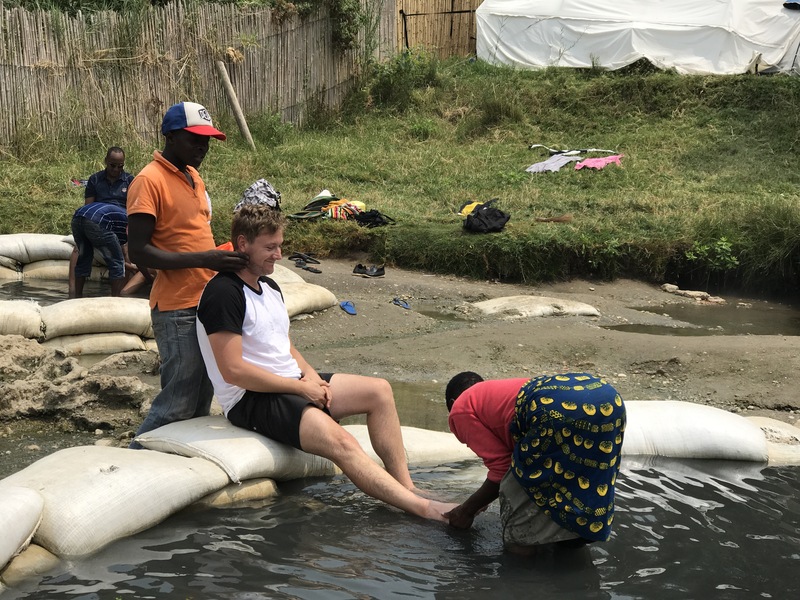 After that we went to some hot springs were some of the group enjoyed a massage in the water. 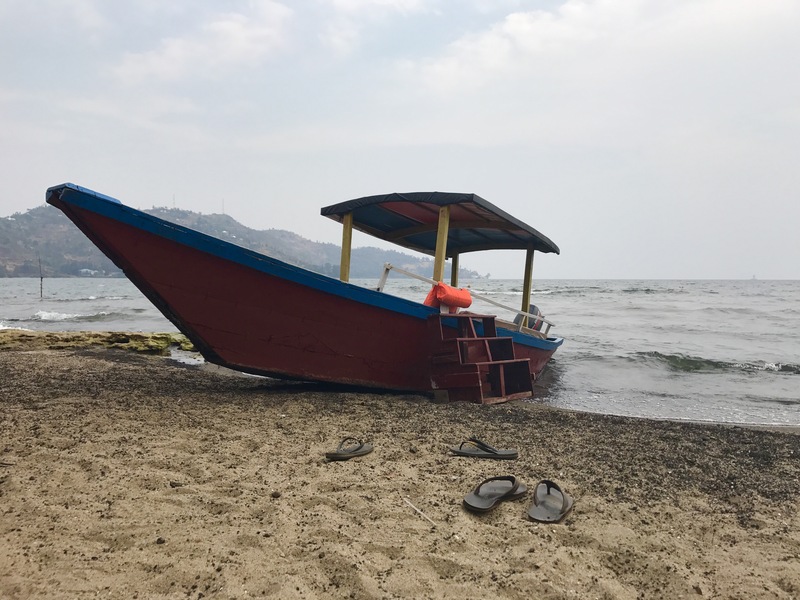 We ended the day by relaxing next to Lake Kivu at Tam Tam beach. We had a lovely lunch and then lay on the beach. 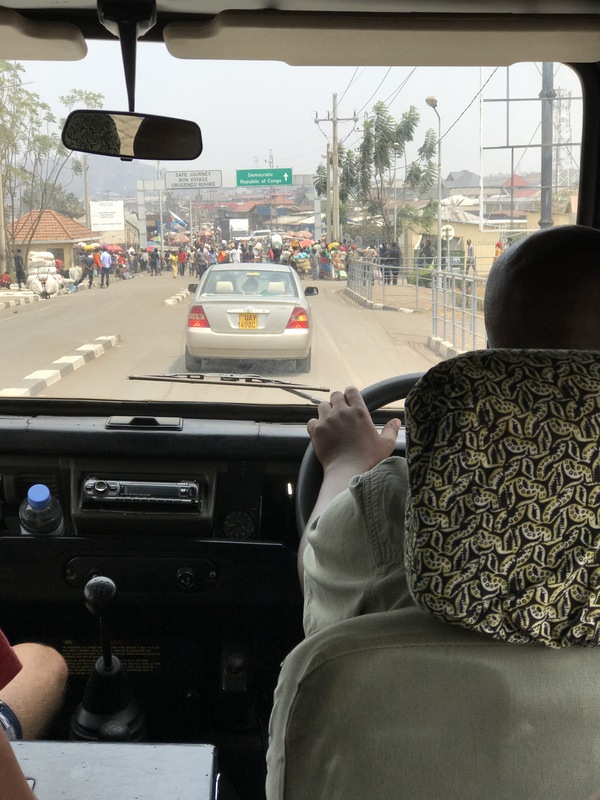 I enjoyed all the driving on this day as we got to see more of Rwanda. We passed a lot of tea fields and other areas that had beautiful landscapes. 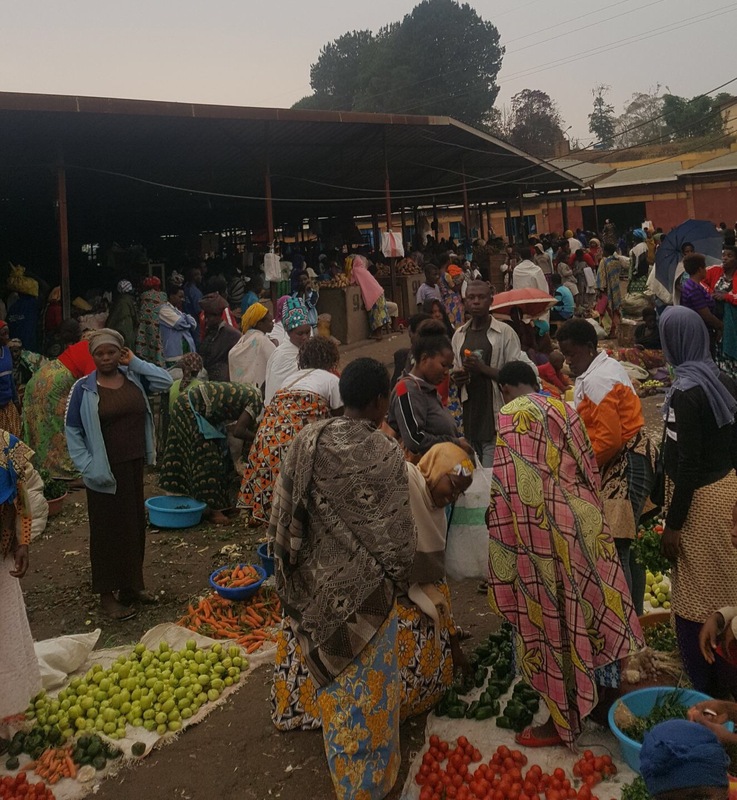 The local market in Musanze. 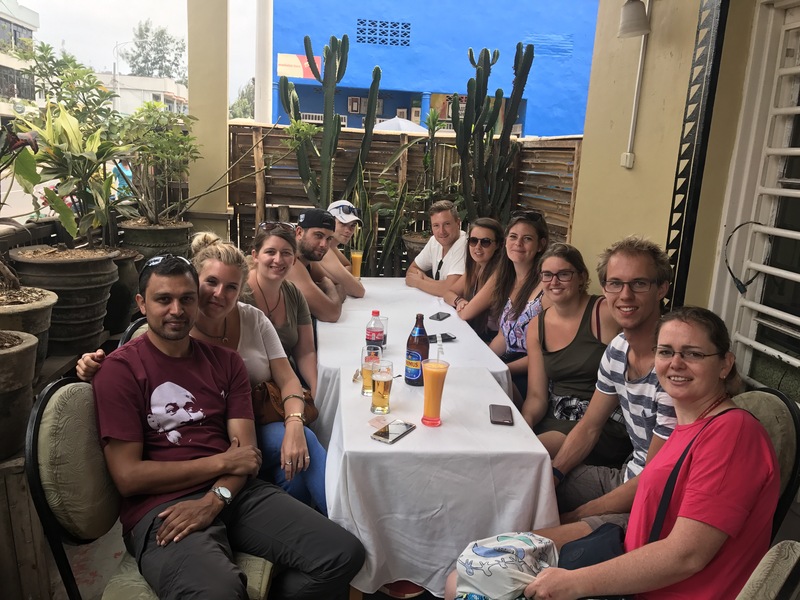 Enjoying some lunch in Musanze. Driving towards the DRC border. 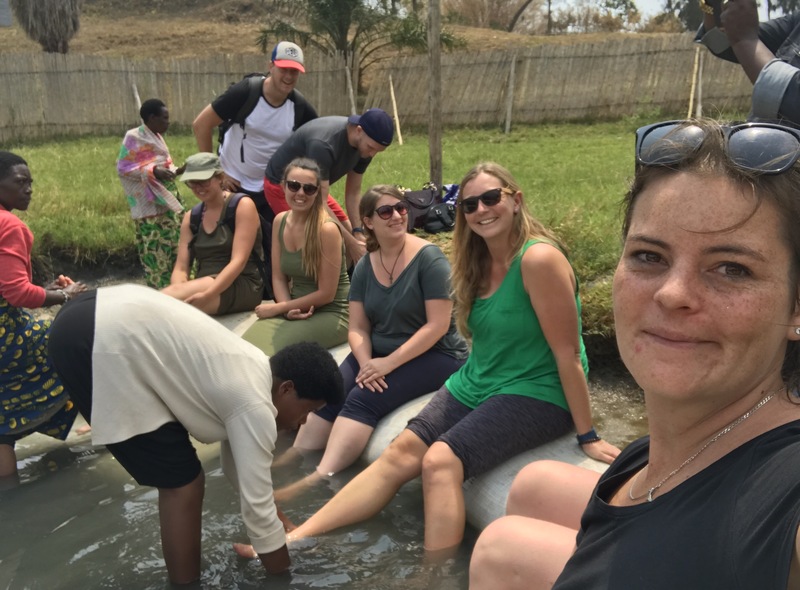 Relaxing at the hot springs near Lake Kivu. Tom taking advantage of the hot springs. The view from the car whilst driving towards Tam Tam beach. Relaxing on Tam Tam beach. Passing the tea fields at a high speed. We drove from Musanze to Kigali and stopped at the Rwanda Genocide Memorial. We spent about three hours here learning about the tragic events that happened in 1994. In 100 days almost one million people were killed due to their ethnicity. It was interesting to learn why this happened and how Rwanada was dealing with the consequences of this event. The memorial was really well maintained and informative. This is a definate must do if you are ever in the Rwandan capital. Following the memorial, we drove to our campsite for the night. This campsite had a lovely view of a valley. 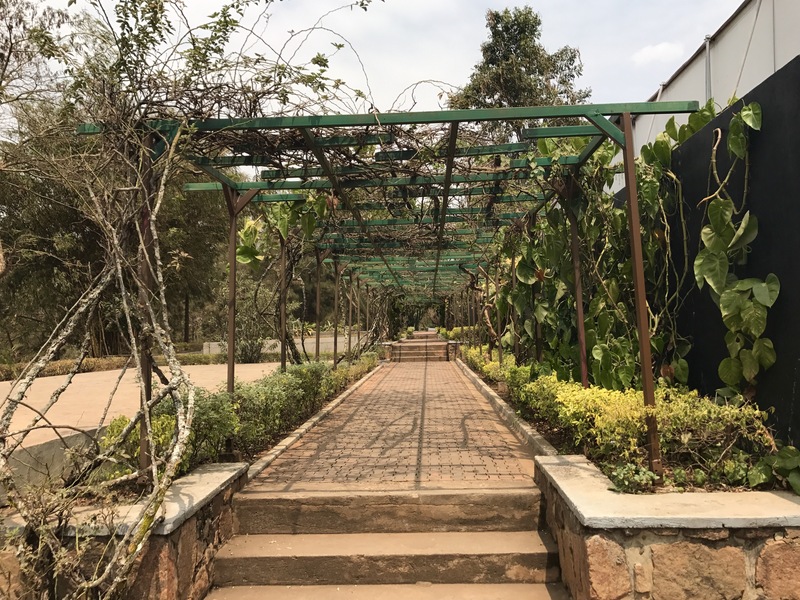 The gardens at the genocide memorial. 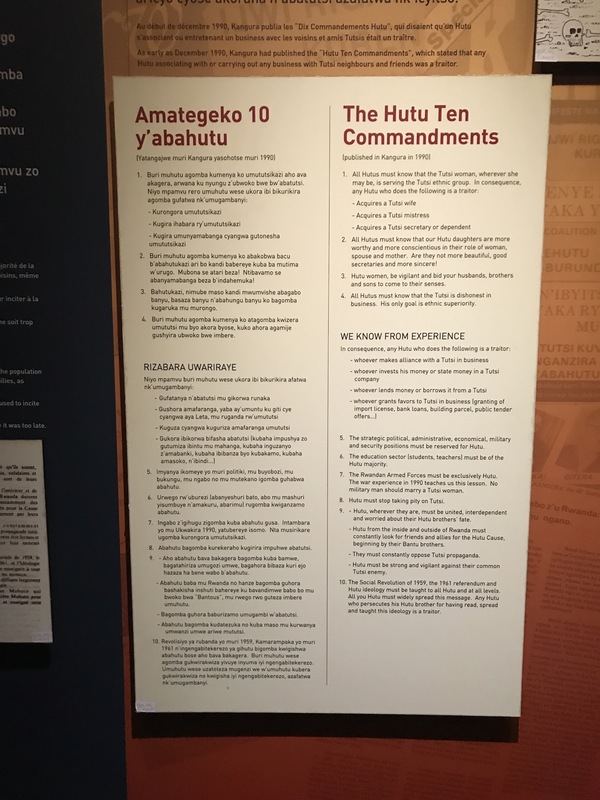 One of the laws that was made during the genocide. 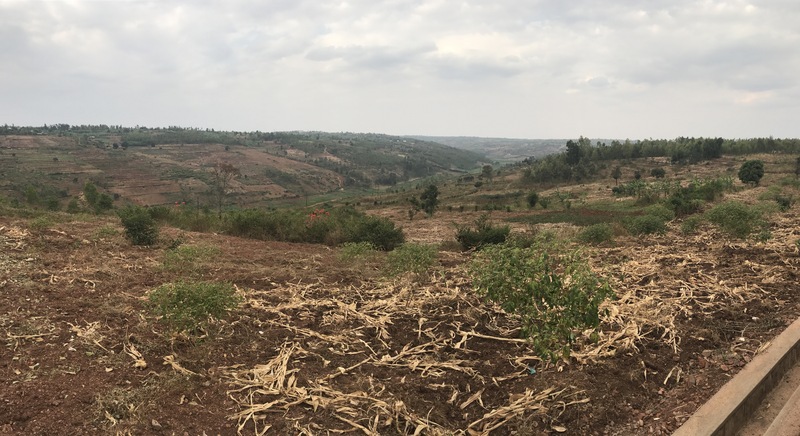 The view from our campsite just outside of Kigali. 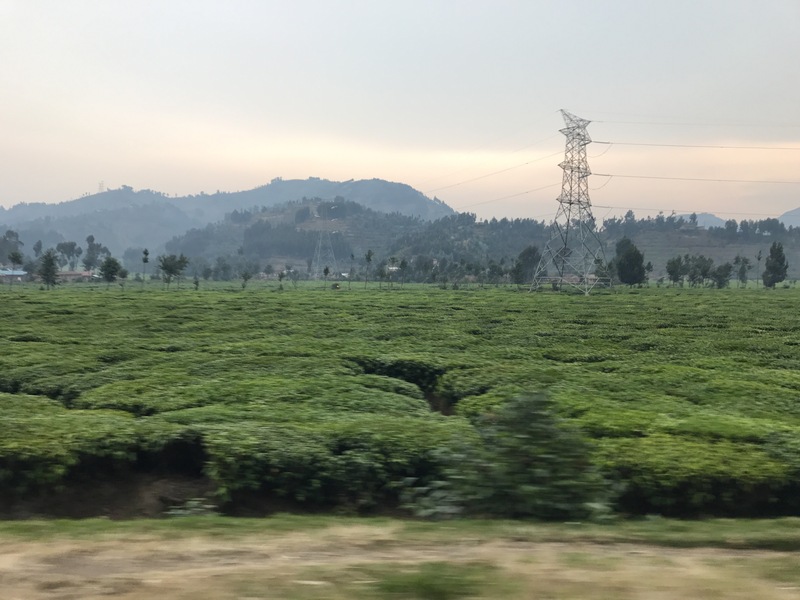 Our time in Rwanda was short, but it was amazing to see the contrast between this country and the other African countrys we had visited so far. 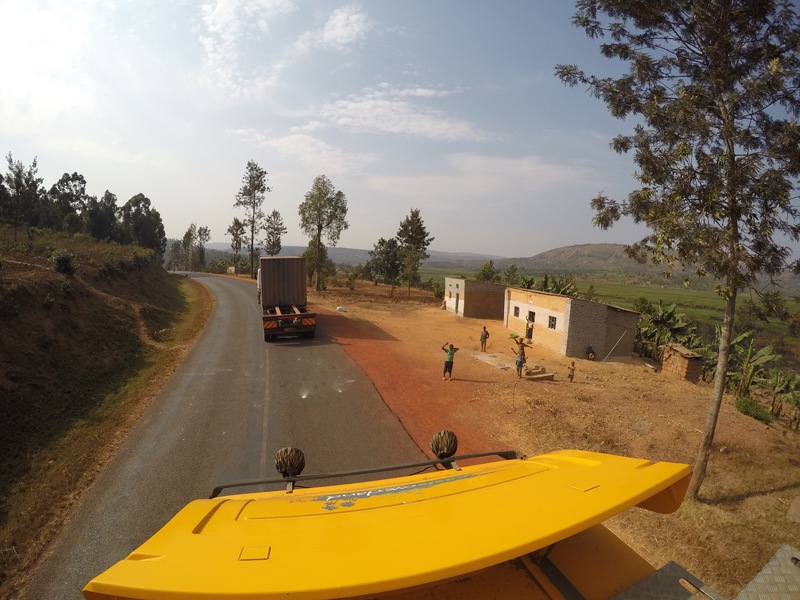 Rwanda had great roads with little to no potholes. The children were friendly and the land was filled with eucalyptus and banana trees. Mountains and volcanos were plentiful and being able to go to look into the DRC was an experience. I wish we had more time in this beautiful country!